A volcanic ash cloud towers over Hella, Iceland, in April. (CNN) -- Sixteen Spanish airports closed Saturday because of ash blowing from an Icelandic volcano and threatened to disrupt more flights on Sunday. The closures affect the Barcelona airport -- the country's second busiest -- and other airports on the northern coast and in the northern half of the country, including ones in Bilbao, San Sebastian and Santander, according to AENA, the Spanish airports and air navigation authority. The restrictions began at noon Saturday (6 a.m. ET) and will last until at least 2 a.m. Sunday (8 p.m. ET Saturday), AENA said. At 8 p.m. Saturday (2 p.m. ET) authorities opened three airports that had been closed earlier in the day. AENA said 673 flights had been canceled as of 2 p.m. Saturday (8 a.m. ET). The airport authority recommended that passengers due to fly Saturday contact their airline before going to the airport. The closures affected airports from A Coruna and Vigo on Spain's northwest coast and east to Zaragoza. They went as far south as the airport in Salamanca, which is about 190 miles (313 km) northwest of Madrid, but they could eventually spread farther across Spain and into other countries, according to Eurocontrol, which manages European air travel. Eurocontrol said that during the day Saturday, the ash cloud is expected to extend south to Portugal and as far east as Barcelona, Spain, and Marseille, France. 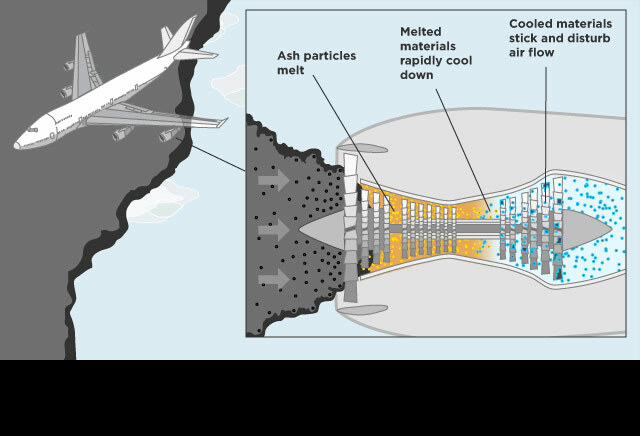 The ash is posing a problem between the ground and 20,000 feet, Eurocontrol said, and transatlantic flights are being rerouted around the area, Eurocontrol said. In recent days, the ash has caused a problem for flights in Ireland, but Irish aviation officials said their airspace was clear of the ash Saturday. 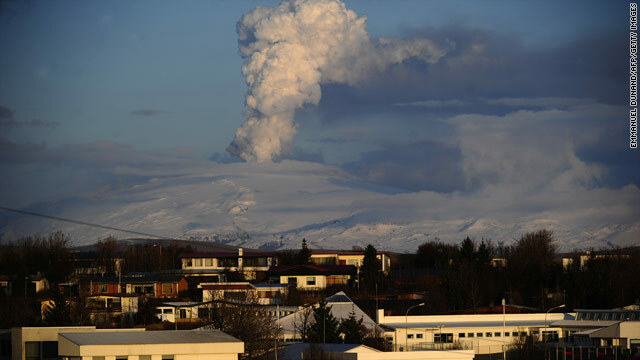 The problems began in mid-April, when the volcanobeneath the Eyjafjallajokull glacier in southern Iceland erupted and sent a cloud of ash into the atmosphere, closing most of Europe's airspace for six days.